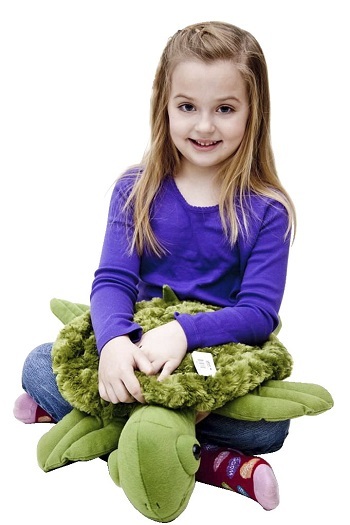 This cute Weighted Turtle Calmer is a cuddly companion that helps children focus and provides a soothing effect during classroom activities. Proprioceptive feedback is effective for children with autism, sensory integration disorders and many other neurological challenges. 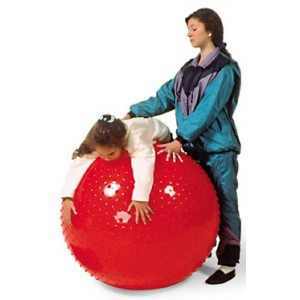 The plush fabric provides a soft and sensory deep pressure experience. They may also be used as you would a lap pad, with the added benefit of being cuddly. Use with supervision for 20 minutes at a time or as recommended. Filled with plastic pellets to provide even weight distribution.This sea turtle weighs 5 lbs. and allows for weight to be distributed wherever it is needed. 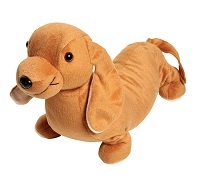 This Cuddly Turtle companions allowa the bearing of weight and use of weighted product for lifting and increasing muscle tone and strength. Machine washable. 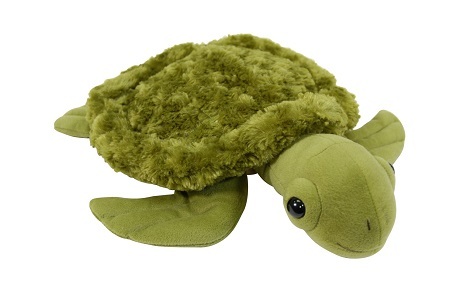 Measures 16 in L x 6 in W. Kids love holding and feeling this soft weighted turtle.